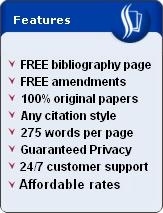 History of the Essay. Tracing the definitive history of the essay is not an easy task. But for the purposes of this article, the context in which the history of the essay is treated is essay as a literary form. 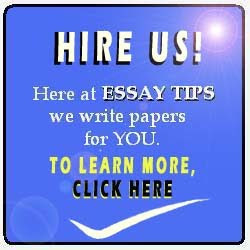 The word "essay" is derived from the French word essayer which, in turn, is culled from exagium or, more accurately, exagere -- a Latin word which means "to weigh" or "to sift". It is often held that Michel de Montaigne is the father of the essay as it was he who arguably introduced the style of using a very personal voice in writing. That was in 16th century -- about 400 years back from today. Before and during Montaigne's lifetime, literary works and almost every published writing are governed by very formal approaches. The conversational approach was an alien concept to writing during those days. It is in Essais, a two-volume book published in 1580-1588, where Montaigne first used the word and applied that approach in a published work. It was, in the context of the history of the essay, a pioneering feat. While the history of the essay as a literary form may be conceived as starting off with Bacon, it did not take long enough for it to grow. In Essaying the Essay (1970), Burges Johnson maintains that the distinguished Sir Francis Bacon "borrowed this word essay from Montaigne, turn[ed] it into English and use[d] it as a title for some short prose experiments of his own" (p. 52), such as his Essays: Or Counsels, Civil and Moral (1597). It only took two decades at most for Montaigne's Essais to be followed by another seminal work. More importantly, it was Bacon who made the essay "a definite form" which was soon seized by many other writers who saw it as a "release from a traditional formality" (p. 52). From then on, the essay has become one of the -- if not the -- widely used literary form. It can be maintained that the history of the essay has been significantly shaped by the social circumstances prevailing at the time. Alan Sinfield and Lindsay Smith are apt to point out in Textual Practice (1998) that the history of the essay "has its origins in the cultural revolution of the Renaissance" (p. 49). The Renaissance was a pivotal moment in human history because it was the time when the arts were driven by the desire to focus more on the human self and less on religious matters, the latter being the long-standing influence of the dark or medieval ages. Not surprisingly, literature also became a part of the Renaissance movement. Thus, the history of the essay finds its origins in the core Renaissance ideal of "rebirth" -- the rebirth of the human self.